Nine trees were just planted! 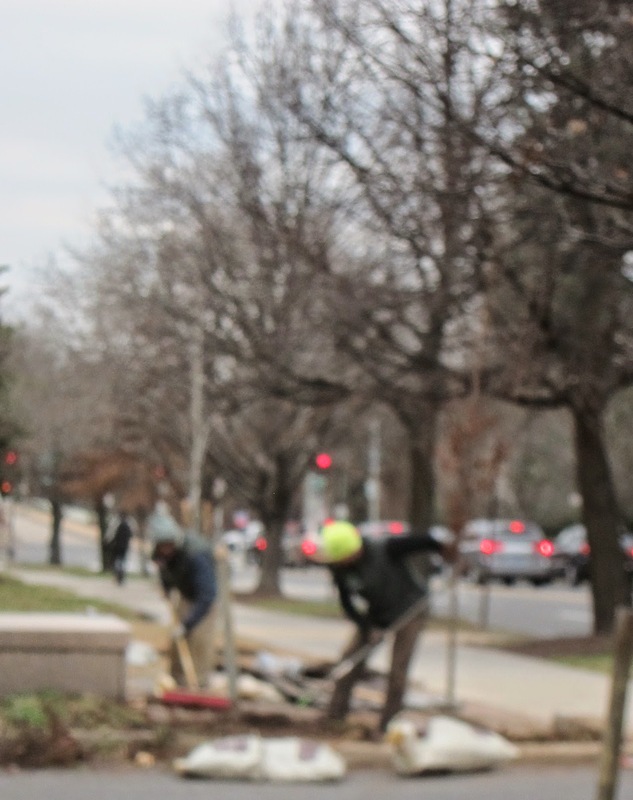 Look for the line of staked trees in the big lawns on the east side of Mass Ave going uphill from 30th Street to the South Africa Embassy. 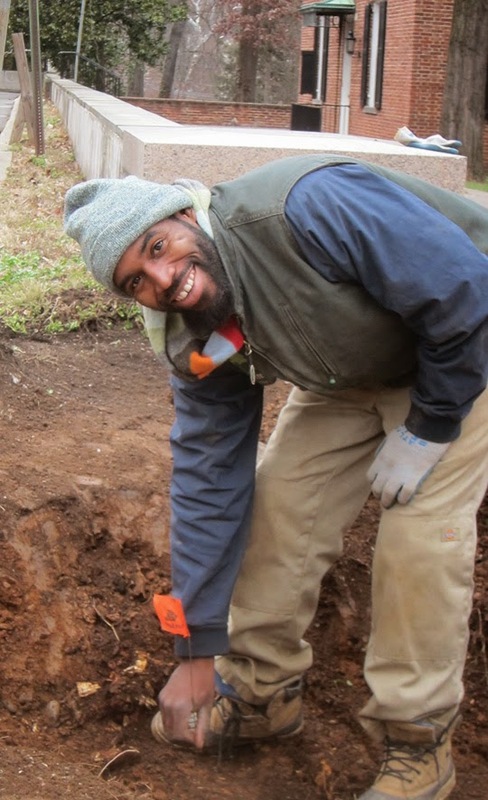 An energetic Casey Trees crew planted at nearly the exact sites where the original trees were planted in 1904, forming a majestic streetscape for decades thereafter. Casey Trees planted this "second row" for the Department of State Office of Foreign Missions, which manages the two vacant buildings there. 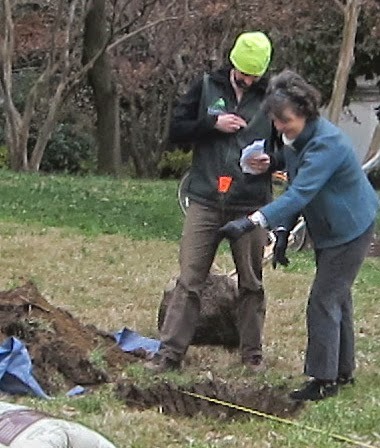 We at Restore Mass Ave are grateful that Cliffton Seagroves and Suzanne McPartland of OFM heard our message about the importance of "re-greening" Embassy Row by replanting the original allées wherever we can. Two trees in the line going in. But this isn't 1880. It's not even 1904. We had to decide: What species to plant here for the 21st century? Along the curb is a row of little-leaf lindens (Tilia cordata). OFM, advised by RMA and Casey Trees, made the new second row be mostly American lindens (Tilia americana). 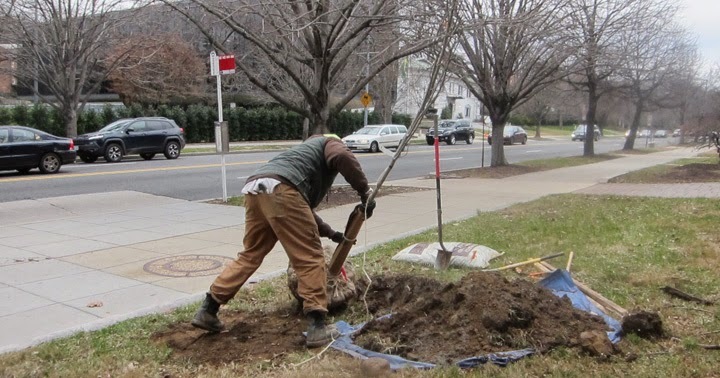 American linden thrives along DC streets and is the historic tree for Mass Ave. 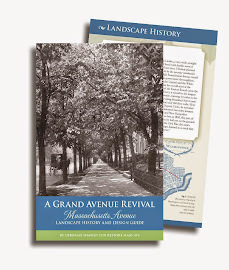 According to RMA's book A Grand Avenue Revival, American lindens were planted uniformly on both sides of Mass Ave for four rows stretching seven miles across the city, after the double rows were planted here. The nine new trees include three red maples (Acer rubrum). Jim Woodworth of Casey Trees recommended them for variety and to compliment the unusual Mideast-style domed building behind them. The brick Georgian mansion and domed building next door used to be the Residence and Embassy of Iran. Since 1979, when the US broke ties with that country, the State Department OFM has had custody of the properties.